Chronicle Books (CA), 9780811865791, 143pp. 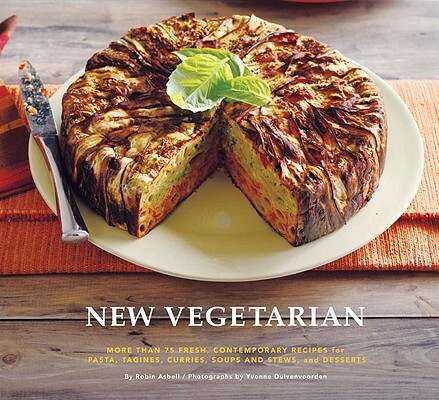 With a look as fresh as the recipes themselves, New Vegetarian is full of modern, flavorful food for the 30 million Americans (more every day ) who are vegetarians. More than 75 delicious and simple dishes span a wide range ofcuisines and cultures--from Vietnamese Pho with Tofu to Baked Creamy Squash Pasta with Arugula. Best of all, the dessert chapter includes goodies so luscious even the most die-hard dairy fans wont suspect these sweet treats arevegan. Robin Asbell is a chef, food writer, and cooking teacher specializing in natural foods. She is author of The New Whole Grains Cookbook. Yvonne Duivenvoorden is a Toronto-based food, garden, and lifestyle photographer.